Car shopping in the Westport area? 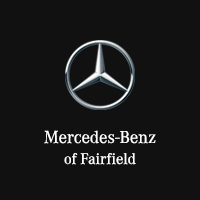 Look no further than the new vehicle inventory at Mercedes-Benz of Fairfield. We have a wide variety of models in stock, from the popular Mercedes-Benz C-Class to the fan-favorite AMG® models capable of astonishing speed. Our sales team is standing by to get you behind the wheel of the model that best suits your budget and driving needs, and we always have rotating lease specials to make the car-buying process that much less stressful. When you’re ready to take your commute to the next level, stop by Mercedes-Benz of Fairfield to pursue the Mercedes-Benz models for sale in Fairfield! Our sales staff is happy to walk you through Mercedes-Benz technology and features, as well as upcoming models like the A-Class sedan! Comes equipped with: Convenience Package, Panorama Sunroof, Premium Package, Rear Spoiler, Smartphone Integration, Wheel Locks, Wheels: 18 5-Spoke Alloy. Comes equipped with: Burl Walnut Wood Trim, Convenience Package, Led Headlamps, Panorama Sunroof, Premium Package, Rear Spoiler, Smartphone Integration, Wheels: 18 5-Spoke Alloy.